The Sunset Pool frames majestic mountain vistas and scenic sunsets while enjoying the pool, spa, wet decks or in-pool swim jets. With views all the way to Mt. 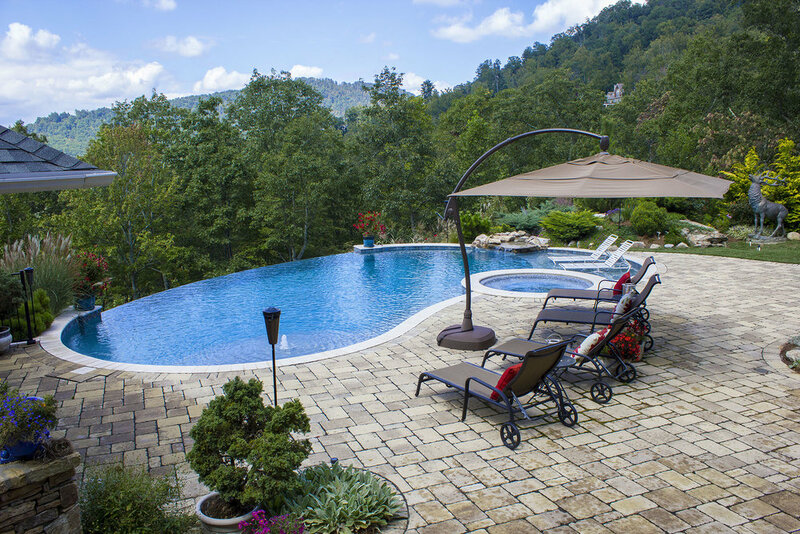 Pisgah in the Blue Ridge Mountains, exercise, relaxation or simply lounging by the pool become that much more enjoyable and inspiring.